Ground effects impact control system ensures optimum shock absorption throughout the entire running surface, while integrated foot plant technology is a system controlled by a microprocessor which constantly adjusts speed to enhance safety, comfort, and preserve the natural comfortable walking and running motion. The Pulse Width Modulation (PWM) incorporated into the motor system enhances the reliability and efficiency of the unit, by lowering the current draw. The unique bed and belt system requires absolutely no lubrication or waxing, which reduces maintenance requirements. The electronic consol and workout programs are easy to follow and very effective. You can take this opportunity and buy this now at our lowest wholesale discounted treadmill pricing available for home or health club use. Built-in safety features include a backup speed-regulating device in the software that prevents speed irregularities. A safety clip attached to the emergency stop switch shuts off the treadmill if someone loses their balance, allowing the belt to come to a safe stop. The proprietary bed and belt system requires absolutely no external lubrication or waxing. The aluminum frame is strong, durable & lightweight, so it won’t rust, chip, or corrode. Two custom courses and 10 preprogrammed courses. Readouts include Time, Distance,Incline, Pacer Speed, Pacer Distance, Watts, Mets, Calories and Calories/Minute. 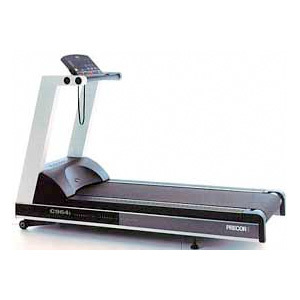 The manual course lets exercisers select speed and incline during workouts. The interval course provides the superior cardiovascular conditioning advantages if interval training. Console Readouts: Segment Time Left, Minutes per Mile, Watts, Pacer Distance, Pacer Speed, Calories per Minute, Total Calories, Incline and METS.